Saturday night, Kayne West showed his collection in an “off schedule” show in Paris. I didn’t have a ticket this show, but I did go to the venue to check out the front row celebs who showed up. Most of the big names where somehow guided into the building away from the paparazzi. I did manage to get a few shots of some of the guests. 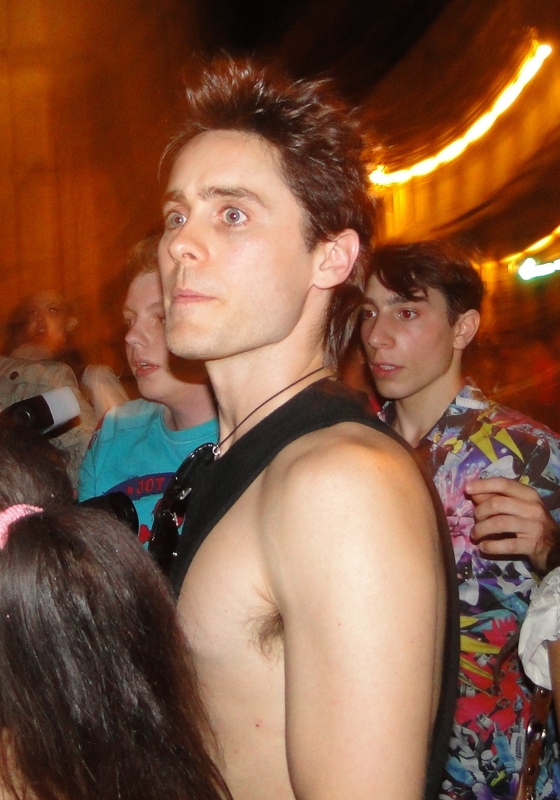 Jared Leto showed up and walked out into street trying to hail a taxi after the show. He ended up being mobbed by fans, and walked off into the street of Paris. 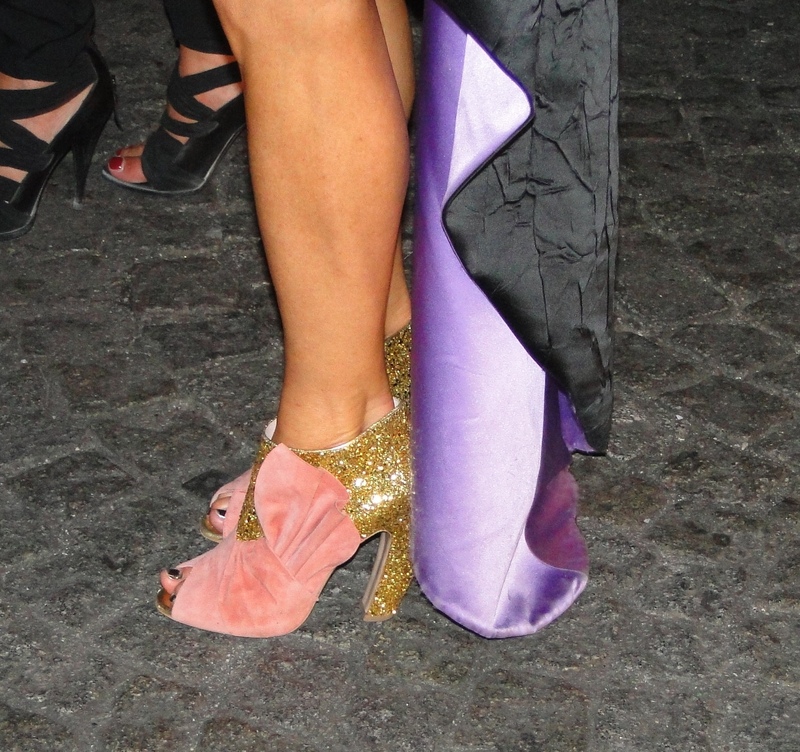 Anna Dello Russo was standing on the street speaking with a friend after the show. Anna is the Editor for Vogue Japan and Style Icon. She was wearing a fabulous beaded gown, and sparkling shoes! 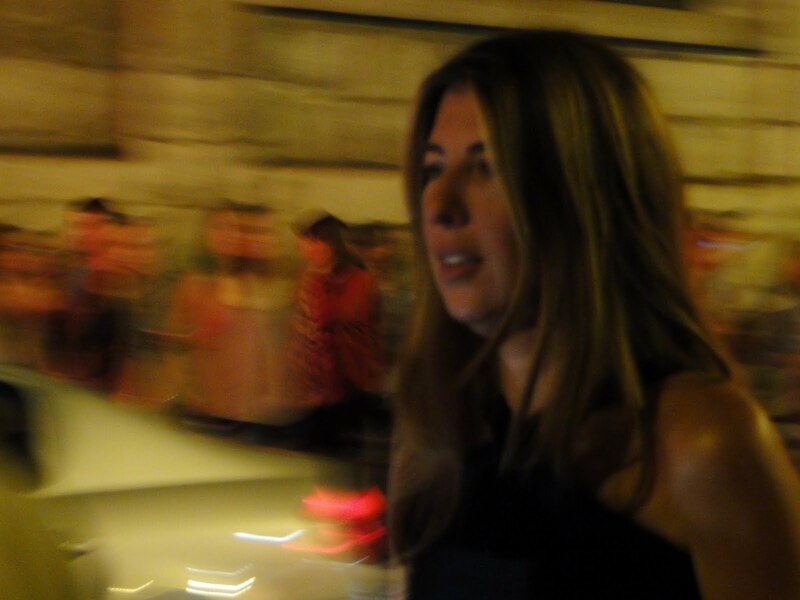 Nina Garcia was in a hurry walking along the street with friends, but I managed to get a quick shot as she hurried past. Nina has held the post of Fashion Director at both Elle and Marie Claire magazine and is currently also a judge on Project Runway. Singer Ciara showed up and posed for some pictures for her screaming fans. There were many more celebs that attended that hurried past by me too quickly to get a photo. Solange Knowles (Beyonce’s sister), Anna Wintour, and designer Jeremy Scott were all just too quick for my camera! Also sitting front row was, Lindsay Lohan and the Olsen twins. The vibe of the show was a strange one, quite different then the usual fashion shows. I couldn’t wait to get home and see what the designs looked liked. Once I did get to see them, I realized that I didn’t miss much in the show! Below are some of the pieces that Kanye showed.